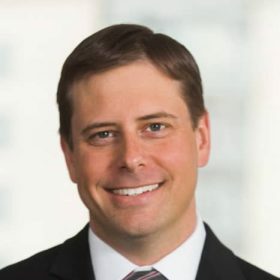 Colin McDermott, CFA, CPA/ABV is a managing director with VMG Health and is based in the Dallas office. Colin leads a team of professionals performing fair market value studies, fairness opinions, fair value analyses used for financial reporting, financial advisory services and management consulting. Colin has particular valuation experience with health plans, hospitals systems, ambulatory surgery centers, pharmacies, imaging centers, laboratories, home health and hospice agencies, and physician groups. Additionally, Colin often serves as a trusted financial advisor to clients and provides strategic advisory services as they contemplate a transaction. In this capacity, his experience includes financial advisory on behalf of buyer or seller, preliminary due diligence and support for evaluating transaction opportunities, merger or acquisition financial integration, divestiture planning and feasibility or research studies. Colin frequently presents at industry conferences and publishes on health care and valuation specific issues and is a contributor to VMG Health’s blog and healthcare valuation insights. Colin serves on the planning committee for the AICPA Healthcare Industry Conference. Prior to joining VMG Health, Colin was Director in the Forensic and Litigation Consulting Group of FTI Consulting, Inc. and was an associate in KPMG’s Forensic and Litigation Consulting Group. In those roles, Colin provided valuation and advisory services to firms in various industries, including healthcare, manufacturing, energy, and telecommunications. Colin received a Bachelor of Business Administration in Accounting and a Master of Science in Finance from Texas A&M University and is a licensed Certified Public Accountant (CPA) in the state of Texas and holds both the Chartered Financial Analyst (CFA) and Accredited in Business Valuation (“ABV”) designations. Home Health Business: Are You In or Out? Assisted not-for-profit health system and for-profit specialty operator with fair market value opinions to establish joint venture ownership in a newly formed radiology business. Addressed critical assumptions including impact on health system’s contribution related to site of service differential. Lead a team of multi-disciplinary professionals to performed a fair value analysis to support of Financial Accounting Standards Board’s (the “FASB”) Accounting Standards Codification (“ASC”) 958 Not-for-Profit Entities (“ASC 958”) and ASC 805, Business Combinations (“ASC 805”) on behalf of large multi-state not-for-profit health system. Specifically, the target had operating revenue in excess of $6.0. Assets valued included the real estate (14 hospital campuses), personal property (including site visit and limited verification of major assets), and intangible assets. Provided financial advisory services to a health system with $4.3 b of operating revenue as it completed a merger with a health system with $2.6 b of operating revenue. Specifically, performed financial integration modeling and certain due diligence functions. Successfully lead direct interactions with executives to develop the presentation used by the Board of Directors to approve financial merits of the merger. Assisted with preliminary due diligence on a distressed academic medical center. Specifically, performed a detailed historical review of restructuring initiatives including assessment of relationship with affiliated medical school. Evaluated additional opportunities for improvement using industry benchmarks and developed a multi-year pro forma to assist with decision making as client contemplated a financial investment. Retained to provide expert advisory and fair market value services on behalf of a state Attorney General Office (“AG”) as the AG reviewed the sale of not-for-profit assets. Specially, served as an expert on review of a sale of an acute care hospital and addressed specific questions and requests from the AG. Provided strategic planning and consulting services to a large physician group as it contemplated go-forward strategy including pursuing organic growth in local market, acquisition of smaller groups in complementary markets, or soliciting investment by a private equity partner. Determined fair market value of five acute care hospitals to be contributed into a joint venture between a not-for-profit and for-profit health system. The valuation opinion was utilized to establish joint venture ownership. Worked with representatives from each organization to understand health value drivers. Created detailed valuation reports and executive summary which outlined key findings. Presented findings to the leadership of both organizations. The transaction was finalized and the valuation opinion was relied upon. Provided a fairness opinion to a State AG office as it reviewed the sale of a not-for-profit managed Medicaid insurance plan. Presented findings to the Assistant Attorney General and their team. Ultimately, the opinion was relied upon and the sale was approved. Determined fair market value of home health and hospice agencies which were contributed to joint venture between two for-profit organizations. The valuation opinion was utilized to establish joint venture ownership. The transaction was finalized and the valuation opinion was relied upon.